The police also found a badge bearing a portrait of late North Korean leaders Kim Il Sung and Kim Jong Il and a cigarette box with Hangul letters. A search of the boat had been delayed by bad weather. 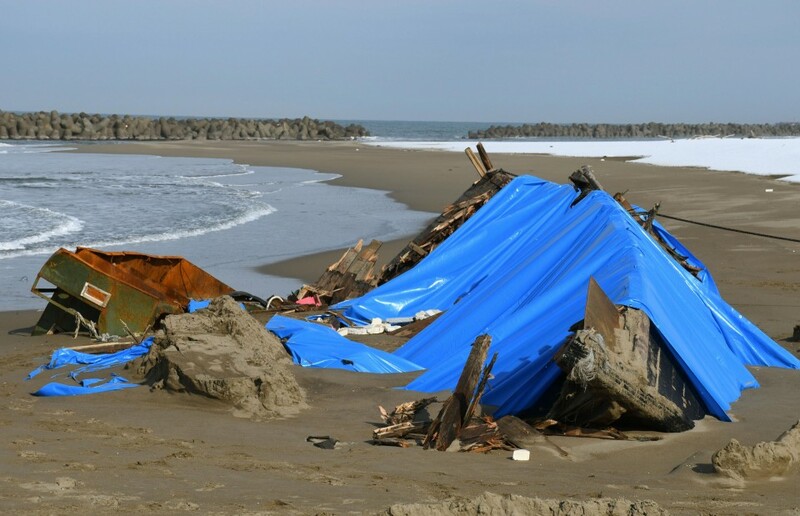 Last Wednesday, the police and the Japan Coast Guard discovered another body about 15 meters from where the boat was washed ashore. An autopsy showed the man was in his 30s to 50s and had died around last September. The police will carry out autopsies on the seven other bodies. More North Korean boats have operated in a rich fishing ground for squid and crabs in the Sea of Japan in recent years, and the winter season's rough sea conditions may have caused the boats to capsize, a coast guard official said.